On an isolated boulder just right of La Route des Gorges de Franchard, 5 minutes from the parking lot. Sitstart completely right with a round vertical crack right hand, traverse to the left, pass the first angle, downclimb with slopers, take the second angle left hand, make a mantle, pass the arete and exit a the good step. Access : from the parking lot, follow La Route des Gorges de Franchard towards the main sector and cross La Route de Tavannes. 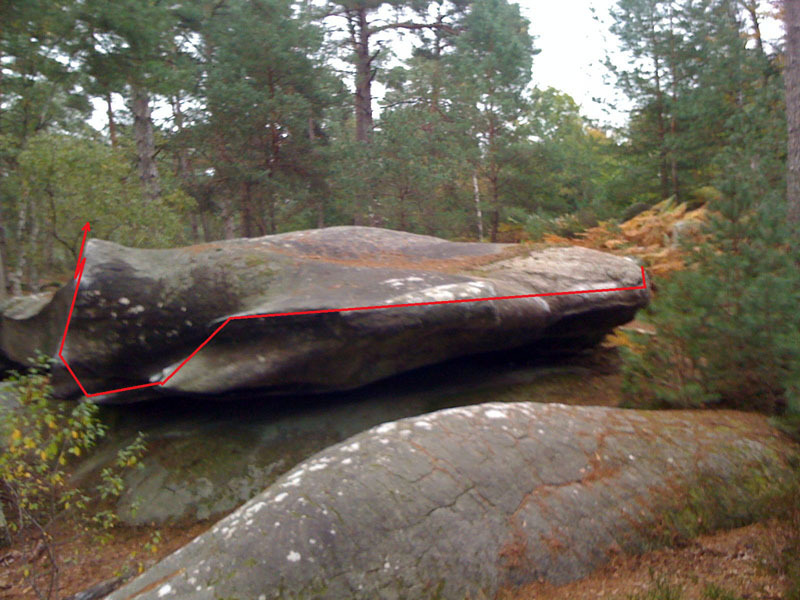 The boulder is to the right of the path after 50-60m in the descent, just before a characteristic very easy slab.